The Canadian Government gives topmost priority to the process of Family Reunification. Last year, IRCC had introduced a revised process for application intake for the Parents and Grandparents sponsorship program. The same process is being used in 2018 also. Starting from January 2nd till February 1st, 2018, filling up of an interest to sponsor form, through online means, from the potential sponsors, was taken up. Interested persons were asked to inform the Department, regarding their intention to sponsor their parents/grandparents in the present year. Without any delay, presently IRCC has reviewed the submissions made, and after valid removal of duplicates, it has selected the sponsors in a random manner. Opening on March 19, invitations will be issued, for a few days, to selected persons. The Potential sponsors would get a time of 60 days, beginning from the date of the invitation, for submitting the completed application, to sponsor their parents/grandparents. They are also required to check the Junk Mail Folder to see its arrival. Based on March 19 data, the potential sponsors must confirm, whether they have been selected, by seeing that their unique confirmation number is present, on the list of numbers selected randomly. In case, the IRCC experiences a low response and has not received 10,000 completed applications, additional potential sponsors, would be asked to apply, in the future. All the candidates who have submitted a form, showing the interest to sponsor, need to see their email accounts, and the website of IRCC, and other channels, during the year, to see whether, there are additional rounds, meant for inviting potential sponsors. The persons who have a child/ grandchild, residing in Canada, and intend to spend time with their families, in the country, can submit an application for the Parent and Grandparent Super Visa, even when they are not being sponsored for Permanent Residence. 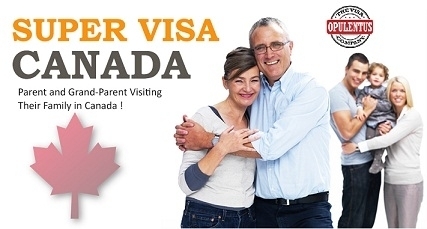 This offer, gives them a choice, to stay in Canada, for two years on their first visit, but the Regular Visa offers only the stay for six months.